Saudi Electricity Co, the Gulf’s largest utility firm, will replace its long-serving chief executive with a manager from state-owned oil giant Saudi Aramco who has called for efforts to make power generation more efficient. 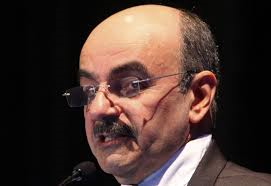 Ali bin Saleh Al-Barrak, who has served as CEO since October 2006, will resign effective next January 1 “upon his own request”, the company said on Monday. Under Barrak, Saudi Electricity aggressively expanded its generation capacity and capital spending to meet surging domestic power demand. The company, which is majority state-owned, also developed some independent power producer (IPP) projects involving the private sector. The next CEO, Ziad bin Mohammed al-Shiha, is executive director for power systems at Saudi Aramco. He has promoted cogeneration plants which seek to operate efficiently by simultaneously generating electricity and useful heat. “Between reducing or increasing the efficiency of the supply and enhancing the efficiency of the demand, I think the kingdom can save thousands and hundreds of thousands of (barrels of) oil equivalent,” Shiha told an industry conference in May 2011. Saudi Electricity did not elaborate on the reasons for the management change. Nearly 40 percent of the country’s electricity is still produced by burning oil; the government has become increasingly concerned that rising domestic consumption could eventually limit oil supplies available for export, though it has shied away from taking tough action to promote energy efficiency such as slashing domestic energy price subsidies.